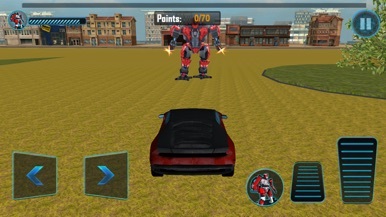 It’s a ROBOT vs CAR clash! Welcome to dystopian society, where machines fight machines! 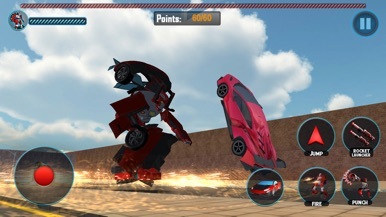 Play as a car-robot hybrid and go head-to-head with police car rivals. It’s time to save your race from extinction. Smash, crash, and throw pedestrian vehicles as they encroach on your turf. Use your special powers to attack with lasers, super strength, and super speed. Fight other robots who oppose your cause! 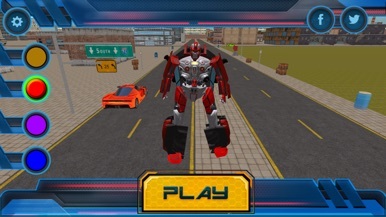 Reassemble into a different shape from tank to robot to best suit your fighting style and take on targets. 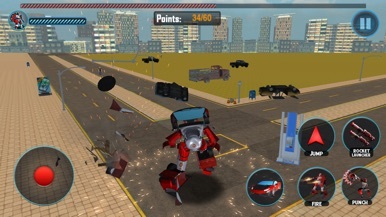 Futuristic Car Robot Rampage is an action packed destruction game featuring artificial intelligence! Control these terminators and take the city! 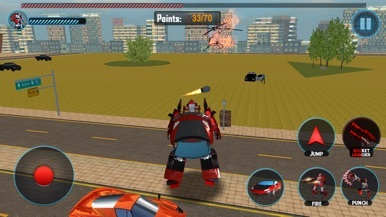 Demolish streets, pedestrian vehicles, trucks, playgrounds, buildings, and cop cars! Make strategic movements to maximize damage. This is what the FUTURE looks like! •Realistic Explosive and Environmental Sounds! •Awesome, vivid 3D Urban Environment! •Amazing Car and Robot Models! •Futuristic, difficult enemies to battle with! Score four tokens in a row to win the game. Swipe to pan the camera for better spatial orientation. Faby Bird Tap to avoid the pipes.